Do you scroll through your phone as you’re going to bed, or are you the type to pick up a good book? You’re no doubt familiar with the typical advice we get around “light-emitting devices” (things like your phone and tablet) when it comes to bedtime - keep them out of your bedtime routine whenever possible. But that doesn’t seem to have stopped us. Multiple surveys suggest significant numbers of Australians are taking their phones to bed (and the toilet, but that’s another story). And that’s especially the case the younger you are. 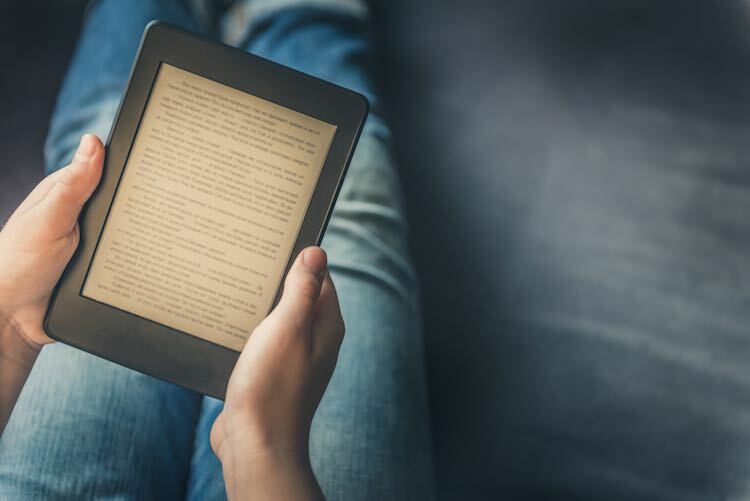 So how exactly does using a tablet impact on the quality of your sleep when compared to reading the good old fashioned way? This was an experimental study of nine people - six men and three women. For the first five evenings of the experiment, the people in the study read from printed material of their choosing, beginning at 6pm. Then, at 9pm they were given the option of going to sleep or choosing to stay up and continue reading. In the second set of five evenings, they were allowed to do whatever they wanted on a tablet device - including reading, playing games, or browsing the internet - and given the same choice at 9pm of going to sleep or staying awake. After 9pm, they could choose to go to sleep whenever they wanted. The researchers measured the melatonin levels (the hormone that makes you want to sleep) and brain activity of each study participant. They also quizzed those involved about how alert they felt at different points in the experiment. The experiment found that when people were using the tablet, they chose a later bedtime - about half an hour later on average each night. After five days of using the tablet, melatonin levels were suppressed significantly more compared to levels on the fifth day of print reading before bed. Those using the tablet also reported feeling less sleepy in the evening, and more sleepy in the morning, compared to those reading print. Being a night owl is associated with a big range of health risks, and this study suggests that using a tablet before bed encourages that habit. It makes you feel sleepier in the morning and less tired in the evening, when you should be getting ready for bed. And it robs you of the joy of a good book. Quit scrolling and pick up that novel. Chinoy, et al. (2018). Unrestricted evening use of light-emitting tablet computers delays self-selected bedtime and disrupts circadian timing and alertness. Physiological Reports doi: 10.14814/phy2.13692.